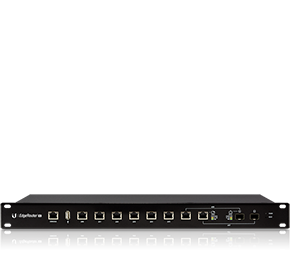 The EdgeRouter™ PRO combines 2 million+ packets per second performance with fiber connectivity options. 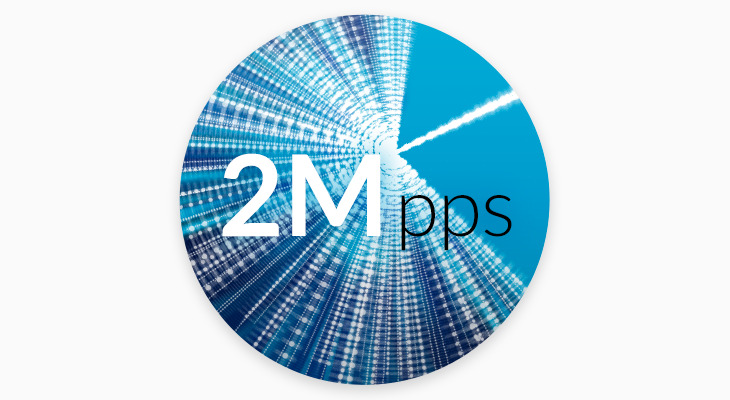 The EdgeRouter™ PRO routes up to 2 million+ packets per second. Use its advanced features to run applications on the customizable open platform. 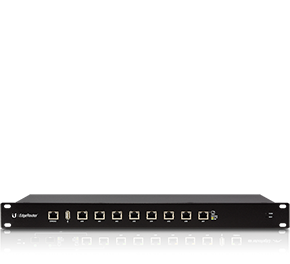 The EdgeRouter™ PRO provides six independent, RJ45 Gigabit ports and two RJ45/SFP combination Gigabit ports. The durable, 1U-high metal chassis allows for convenient mounting in a standard-sized, 19”-wide rack. 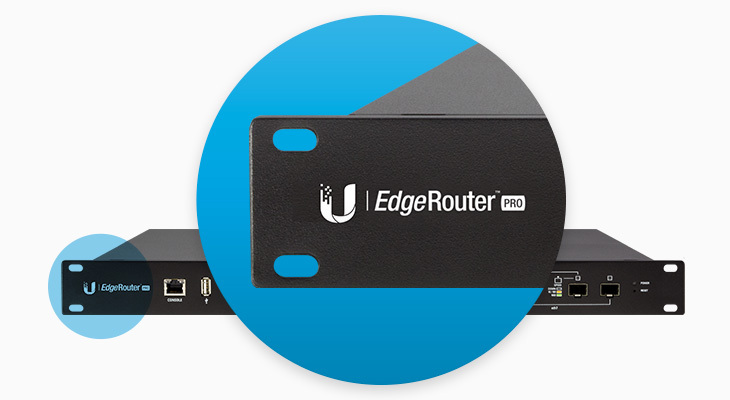 The EdgeRouter™ PRO is supported and managed by UNMS™ (Ubiquiti® Network Management System), a comprehensive controller with an intuitive UI. A single control plane manages registered EdgeMAX® devices across multiple sites. 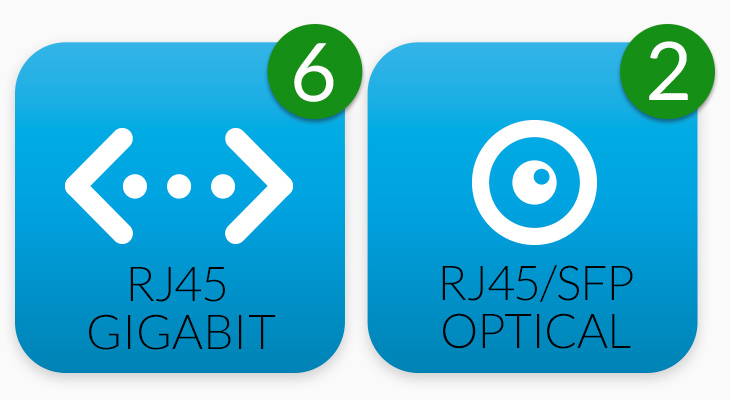 *Two ports can be used as either RJ45 or SFP.